Here are 5 platforms where you can find amazing data visualisation tools. Here are 5 platforms where you can find amazing data visualization tools. No matter how good a storywriter you are, your stories could always use some data visualisation to make them easier to understand. However, there is such a wide variety of data visualisation tools, it can sometimes be hard to keep track of what's available on the market. Luckily, these 5 platforms collected some of the greatest data visualisation tools available and made life so much easier for all of us! Hackastory is an "innovation agency", specialized in journalism. They believe that journalists should pay attention to the behavior of their audience and their philosophy is best articulated in the concept of "learning by doing". The first thing that hits the eye on this website, is the excellent presentation. Content-wise, the website shows a great variety in tools. Besides the practical data visualisation tools, there are more conceptual tools - such as the brainstorm and inspiration tool - as well. Therefore, this platform can help storytellers with all aspects of the creation process. Update your modus operandi with this handy eyecandy! 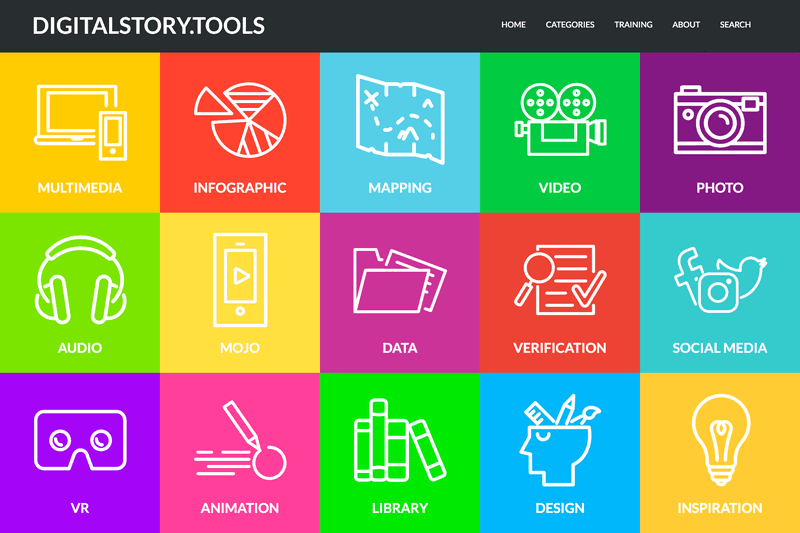 Journalism Tools is a Pinterest page that assembled a very expansive collection of handy digital storytelling and data visualisation tools. Don't let their name fool you: Journalism Tools does not merely report on tools for journalists, they have a whole section of digital storytelling applications as well. The moderator of this platform is Ezra Eeman, a former journalist. With Tim Verheyden, he created "How to story", a blog on digital storytelling. The greatest benefit of this storytelling tool collection, is that it's consistently updated with the newest tools in the game. Therefore, storytellers who want to be one step ahead of their colleagues - at least when it comes to technological advancement - can have a whale of a time with this Pinterest page. 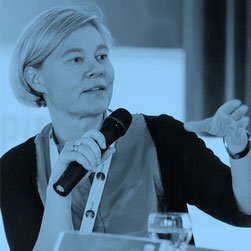 Petra Sammer is a German storyteller who was kind enough to share the tools that helped her in the past years with digital storytelling, on her website. She exposes a wide variety of multimedia tools, such as Pageflow, a tool to make your own slideshow in the style of an interactive documentary; Steller, a storytelling tool, centred around photographs; and many more. Sammer herself has worked on many projects, which are gathered on the same website. An interesting example is "Change Perspectives", in which she wants to raise awareness to global warming. Definitely check them out while you are pass by, when looking for a refreshing medium to write your blogs with. Teachers, this one's for you! Digital media has already proved its value in the landscape of education. Scarce are the teachers who never use any digital tools. Microsoft Powerpoint is a dominating force within classrooms everywhere. However, the tools gathered on this blog go one step further in modernising your teaching. Most of these tools are aimed specifically towards interactivity with students - for example PicLits, which allows students to build a story, based upon a picture of their choice. By adding drawing and texts, the story can be expanded further. The blog itself was created by Med Kharbach, a former teacher - who thus understands the dystopian no man's land of school just as well as other teachers. The most recent list of tools, you can find on this (Belgian!) website. Until short, their company focussed on social media. However, last year, they entered the field of digital storytelling. Their team helps associations, governments, and entrepreneurs with digital communication. Moreover, just like Hackastory, they leave aside the theoretical aspect of digital storytelling, to focus directly on practice. Or as they would say, "We believe in 'learning by doing'." They have gathered tools for text editing, audio and video editing, photo editing, social media creation and exposure, and planning. 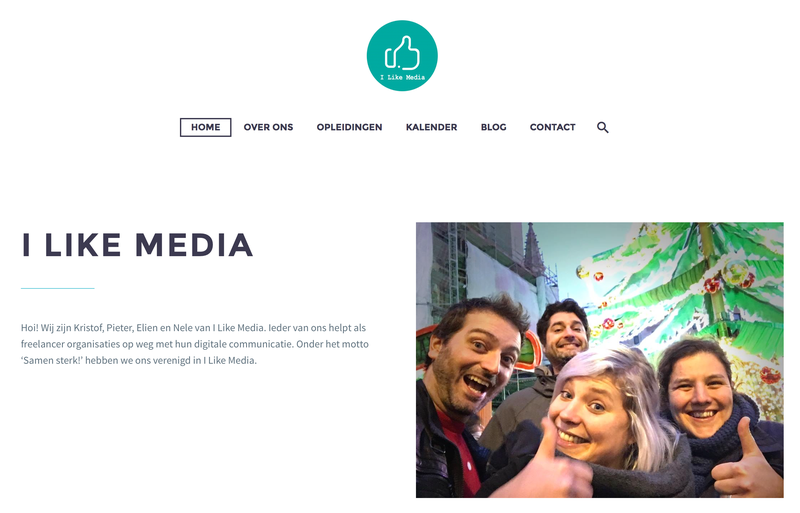 The downside to this website is that it's written in dutch. However, don't let our weird language scare you away from this great collection! Even if you don't speak dutch, the apps are classified in a way that should make things clear for anyone. Now you are updated on the best collections of data visualisation tools, you can truly start dominating your riva-... impressing your colleagues with your stories!